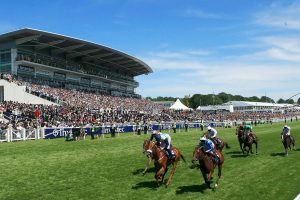 The Epsom Derby takes place in June of each year over a 1m 4f 6y course at the Epsom Downs racecourse in Epsom, Surrey. UK. The group one race is steeped in history; and the first Derby was held in 1780. It forms part of the Triple Crown which consists of the 2000 Guineas, The Derby and the St Leger Stakes. The Triple Crown was introduced or rather coined as way of ascertaining excellence in racing and it certainly has demonstrated that over the years. Only 15 horses have won all three Triple Crown races starting with West Australian in 1853, and most recently the legendary Nijinsky in 1970. The Derby, named after the 12th Earl of Derby, is also one of the five British Classics, group one races for three year olds that are designed to display the pinnacle of achievement against peers. The two additional races that make up the British Classics are the 1000 Guineas and Epsom Oaks. Winning any of these five races is an indication of very significant ability. Only one horse, Sceptre has won four of the Classics (in 1902), incidentally the Derby was the only race that Spectre didn’t win. Historically the race used to be paired with the Epsom fair, which by all accounts sounds like a riproaring affair that attracted people from all over the UK, but especially London. Charles Dickens is known to have visited the fair in the 1850s and enjoyed its mix of magicians, clowns and entertainers. The Derby is held in such high regard that it’s been used as a template of sorts for races around the world, there would be no Kentucky Derby without the Epsom Derby. The purse for the event matches the prestige at £1.5 million in 2018, with £850,650 going to the winner. With such an illustrious history it takes special individuals to stand out in this event, but one such person is Lester Piggott who won the Derby a stunning 9 times between 1954 (on Never Say Die) and 1983 (on Teenoso). He also had a memorable win on Sir Ivor. Interestingly each of his nine wins came on a different horse.